Moonshine and Valentine 结爱·千岁大人的初恋 is a drama that came together so beautifully. I find it interesting to read about the making of the drama, and it's lucky that the production team has been very vocal in sharing their thoughts through their interviews and social media posts. 1. It's meant to be a short drama with 24 episodes + 1 spinoff. According to Director Leste Chen, his personal preference would be to cut the drama to 20 episodes because shorter dramas help tell a richer story rather than one that's stretched out with uninteresting narrative. 2. While the story is set in China, all of the scenes were filmed in Thailand. Leste Chen who lived in Bangkok for eight to nine months while working on other films thought that the place would be suitable for a modern drama and suggested it to co-director Xu Zhao Ren. Both ended up having only good things to say about Thailand. The place is beautiful, the weather is good, the people are nice and quite professional. It is also much easier (and presumably less expensive) to film there than in Shanghai, Beijing or Guanzhou. Actors didn't have much reason to leave the set which the Director joked was an added bonus. The biggest downside from the location was the language barrier - occasional signs and spoken words had to be edited out post-production. 3. The leading lady wasn't supposed to be Victoria Song. Coming from a dance background, Victoria Song's casting displeased some fans who had little faith in her acting. Things have worked out for the best as Victoria's been getting positive reviews along with leading man Johnny Huang who according to the director was made for this profession. On Victoria Song, the director admits that they really did have someone else in mind at the beginning. The original actress backed out due to some differences so someone suggested Victoria Song. Leste Chen has seen her reality show before and thought that she was quite adorable. After working with her, he said that Victoria is smart, very easy to work with and exceeded all of his expectations. He even had a somewhat stern rule that the cast couldn't take vacation throughout the entire duration of filming which she easily agreed to. 4. The cast dubbed their own character's voices. There seem to be two schools of thought on the topic - those that like original dubbing and those that prefer professional voice actors. The Director cited the TV show Friends as an example and said that it would be weird if Rachel spoke in a different voice. He thinks that every actor's voice matters so he tried to make sure that they could use their own voices. 5. Zhu Que Jie 朱雀街 was a song composed for the drama. It is a song that means a lot to the main couple in the novel and the lyrics were initially composed by Zhi Mo. 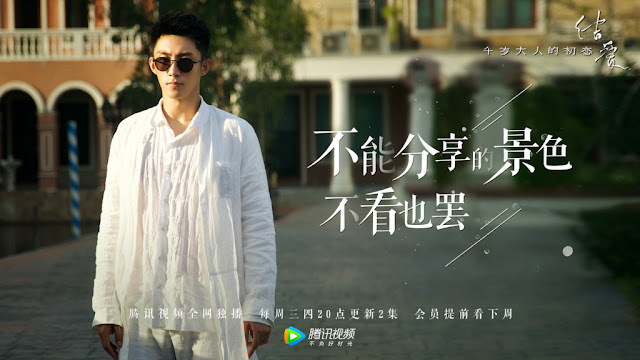 For the drama, Song Bingyang had a demo that fit perfectly and when he took on the role of Ah Gui, he decided to combine his existing lyrics with the original one created by Zhi Mo to make Zhu Que Jie. Song Binyang (Korean name Song Bin Young) was a former SM trainee who left the company in 2011. He is now a solo artist. 6. The source novel takes inspiration from a collection of stories from the Tang Dynasty. Many including the Director find similarities between the drama and hit Korean dramas like The Lonely, Shining Goblin and You From Another Star. Auhor Shi Dingrou actually started writing the novel as early as 2010, years before both dramas went on air. The fox legends in the story were mostly taken from the Tang Dynasty book Guang Yi Ji which was a collection of strange stories. The novel Jie Ai: Ji Si Da Ren 结爱:祭司大人系列 is a three-part series: 结爱：异客逢欢, 结爱：犀燃烛照 and 结爱：南岳北关. The drama is based on the first book and the third book is expected to be published in the latter half of this year. Ohhh this is really an interesting and informative post!! Hope you can post more about behind the scene tidbits of a drama like this one hehe. I personally like Johnny and don't think he is bad aside from those emotional scene. But I don't like the double standard in the industry in general, where the ladies have to work extra hard to get a bit of recognition while the guys can have it much easier... Most of the time fresh meat get passed for their good look. And it's funny enough it's the guys fangirls who bash their costars most of the time because she is never good enough for them. But you probably can't see that or their actual skill when all you can see is their handsome faces and good bodies. I can't speak for all Vic's fans but I generally don't like fanwars and actually like Johnnny and his interaction with Vic. I think he is cute and have nice body and has a lot of charisma on screen. But that doesn't mean he is good actor yet, at least in this drama because he felt to show the character's feeling when he needed to. I was let down by those scenes because I expected more from him. But yes, let believe that I'm bashing him, if it make you feel better. You should have shared Victoria stepped in to save the team 2 weeks prior from the shooting. And Johnny fans accused her for stealing the role that Lesle Chen had to stand up for justice. Or am I picky? Because I swear I see all the fangirls loving him and praising his acting? Very good assessment and I agree with you. I’m actually drawn to Victoria’s performance than Jing Yu. For now, he just came off as very attentive but there’s no yearning of love on his part. So far, the plot is what keeping me tunes in for this series. I found the chemistry in the trailer for her other series with Ou Hao is more sizzling than this series. I don’t think you’re being picky, you assessment his acting from a neutral position. He has a huge fanbase from the Addicted series and if they could, all of his series co-star would be Xu WeiZhou and no other female. So to me, the fandom perspective is very bias and I tend to disagree with them in many cases. With that being said, I do hope that he put more effort into improving his emotional performance since he’s filming more series right now. Thank you! I'm glad I'm not the only one thinking like that because I'm certain JingYu has gained many fans from this drama as well and they probably don't agree with me hehe. I like the trailer of Vic's next drama but I'm not sure I will watch it as the novel is cry fest and I'm in doubt if Victoria can handle it even if she has showed some improvement here... It's way heavier than this one. But maybe she will surprise us? Wow, I see someone with similar opinions. I also found it weird how many fans of the drama praise him when I don't see the love that the character is supposed to have towards Pipi so his acting is also not there yet but he gets a pass anyways as they find him hot, which I also can't see. I'm a fan of Victoria but I have always been picky as hell when it comes to acting not just hers. I was disappointed in her first dramas where she was very awkward but in this role, she is so natural. I'm so happy to see it that I start watching dramas again after dropping dramas for more than a year. Definitely felt relieved to hear positive responses from others too so it was annoying to see some keep downplaying her efforts just to praise him. Jingyu got the easier character to play - he simply has to say his lines and viewers will go gahgah over him. Victoria, on the other hand, had to play a character that was a little naive and annoying in the earlier episodes; and she managed to convince people to change their opinions about Pipi during her breakup scene. In this drama, I think Vic's acting was definitely better. Jingyu was really underwhelming in the emotional scenes. I've watched almost all of Victoria's drama. Surprisingly, I was able to enjoy Chronicles of Town Called Jian even though her acting was really bad there. I think ultimately the plot is the most important to me. Helan in the book is a more interesting and arrogant character, which is definitely harder to play. He wouldn't automatically win over everyone with that role so they made his role the "perfect boyfriend role" that automatically winning their love and support. The production play safe and give him an easy task. And you are good, even I adore her. I can't watch that drama. It was one of her first drama so her acting will be the worse there... Plus the styling and hair... aren't my taste either..
its so funny how Johnny fans got the fact she stole the role? thank goodness director Leslie Chen stand up for her. i don't understand why male actor's fans 'love' to accuse her and they can even make up stories for people to hate her, and this is not the first time! i'm sure its hard to be strong like Victoria. It's time for Victoria's fans to reunite and bash other actors AGAIN AND AGAIN LOL. if they don't start the fire (false accusations),its better we just sit silently just like Victoria. and i think its better for Victoria's fans to reunite and support her works rather than to waste time on this. for me, as her fan it won't give any benefits so i hope they can respect her work in acting or any shows that she needs to work with male celebrity. "It's time for Victoria's fans to reunite and bash other actors AGAIN AND AGAIN LOL." How is is bashing when we as viewers were just voicing our opinions about the performance. His acting is obviously lacking in all the emotional scenes. Like his fans tried to hype up the tears in the last scene of episode 23 but I couldn't read much into it... And we weren't the only ones... I have seem many passbyers from douban and weibo saying the same... That's not bashing. Because in other scenes he isn't bad but he is lacking when it comes to playing angst. So playing hero or action role would fit him better than being a lovesick puppy who love the same girl for 900 years, maybe? I remember reading Leste also mentioned this wasn't easy to film. They took 3 and half months to film only 24 episodes while other productions can film 40+ episodes in the same amount of time. But the cast and crew really committed even they only get paid for 24 episodes. Victoria had to cancel one variety show and delay her album for this. And I'm glad it worked out for her as her efforts and improvement are recognized. I find 24 episodes too little. The supporting characters had alot of screentime in the latest episodes. No one said Victoria is good though. But she progressed a lot in the shortest time. You can feel what she feels for her character and her eyes conveys emotion.Even the director said her acting was comfortable and convincing. I honestly didn't find her emotional acting natural and convincing before but she surprised me here... If she was at 2 before I would give her 5 or 6 now depends on certain scenes. Why is it so hard to recognize her effort and progress and give her more chance in the future instead of dismiss her immediately like they did before? I made comparison only because people seems to have no problem with the male lead acting praise him so much when they try to pick at the smallest things about her, even dismiss her character and acting. No she's average idol standard in this drama. Before she was just really bad, towards the very bottom like Guli Nazha. Her acting was unwatcheable. To be frank, when I thought of bad C-actresses she was the one that came to mind. She's improved in this show, and I commend that, but she's just average now. There are idols in China who are both good-looking and much better than this. Huang Jingyu is also just very average here. I tried to watch addicted after watching this, and I actually think he regressed. He had a lot more fire in his eyes in Addicted. So I get that she has a lot of fans that everyone wants to defend Victoria for improving, but she has a long way to go. Although, I am happy she has improved and will be satisfied with this because she is at least watcheable and doesn't ruin the drama. So I am giving her credit, just don't think people need to be lauded if they are just average at their craft and there are actors graduating from drama universities every year looking for work. I am sorry if I am offending anyone, I think I'm being a little too blunt but oh well. I love the drama very much for the story and enjoyable characters as well as tight editing, would give 8/10. How is that her fans defend her improving when we are stating the fact she has improved and we are happy to see that? Even most passby-ers in China said she improved and praised her for her effort. I gave her 5 -6. Isn't that average? We never said she is good and agree she still has a lot of room to improve. This is just the beginning. Actually I changed my mind. I gave her 4-7 depends on her on each scenes. Some scenes she still exaggerates but others she did VERY WELL, especially ones with eyes acting. The thing is how many actresses in your worst actresses improving in shortest time like her? It won't chance the fact there are many graduated from university to look for job everyday. The popular and beautiful ones will get more jobs even their acting is bad as Angelababy or Nazha. They are in the industry much longer than her and don't even have other specialty like her -dance. She rarely responded to her acting controversy but quietly working hard to improve. That's how she show respect for audiecens. She said she can't be perfect at everything but she will work hard. And people don't need to listen to her because they can see her progress with their eyes. Either way she will get jobs. Because she is popular. But shouldn't we encouraging and giving her praise when others aren't able to do what she does and still get the big budget and good productions even they have been working much longer than her? No one stopping Angelababy or Nazha accepting project left and right right? She also canceled her variety show and delay her album for this drama. When she has schedule in Paris she didn't even have time to sleep because she can't waste any time to fly back to Thailand as soon as possible. Yes her acting is still average, but her attitude and effort show how serious she is in working on her weakness and that she respect audience. That's not something every idol actor can do in Chinese entertainment, unfortunately when most use double even in a commercial. Whoa, I did commend her for improving. Nazha has been literally acting the same amount of time as Vic, and didn't get leading roles until the last couple of years. She needs a lot of improvement. I like both Song Qian and Na Zha's personalities off screen. I have nothing personal against either of them, just giving my honest opinions about it. China's like the British system, no shortage of good actors and actresses due to their prestigious school system so actors/actresses really need to prove themselves in cdrama. I am honestly happy Vic improved! I'm an avid fan of chinese dramas and have watched most of the latest dramas out there. In addition, I've loved Victoria's real life personality since her f(x) days and was the most excited when she got her first role, then second and the list goes on. I was also the most disappointed after watching her through every drama role she had even though I really like her. As a fan, I'm sorry to say I couldn't finish any of her dramas and really just wanted her to improve her acting first before taking on roles that required her to emote with nuance. That being said, her role as Pipi in Moonlight and Valentine has given me hope that idols can improve their acting - given practice, experience and the appropriate role. I agree with what everyone here is saying - give credit where credit is due. I was so proud to read emotions in her eyes, in her body language, her tone of voice and I'm only on Episode 12. She has improved tremendously from her previous dramas.... of course she's not on the level of award-winning actresses but definitely headed in the right direction. I'm really glad that she got some acknowledgement here! I’m not a fan of Victoria and I really don’t understand why people can’t acknowledge Victoria’s acting improvement without having to accuse the commenter as being her defender. I personally think that she did a really good job conveying the character feeling. Huang JingYu on the other hand is not bringing out the nuance that’s required from his character. I do found Zhao Song (played by Jiang Qi Lin) and Qian Hua (played by Zhang Bai Jia) showcased the nuance of longing in their performance really well. People seem to have hard time acknowledging women's skill and efforts while it's much easier for men. I don't know why. The 2nd and 3rd book have total different setting than the first book. I don't think the director has intention to do part 2 and part 3 based on his previous works. Plus they can't sell perfect Helan image like they are doing here. Pipi will become the star of the shows instead. I haven't read part 3 yet but the Helan in part 2 is much harder to play... and he is far from perfect. I doubt Johnny would agree to do it given his current popularity. i'm really glad she's improving so much in this drama. just like other commenter said she just work silently and never respond to hateful comments about her acting. from her personality, i believe even everything are bad in the beginning i'm sure she will work for it until she succeed because people don't call her Queen Victoria for nothing. Even her journey from China to Korea as a kpop idol she can do it alone to face the language barrier and everything, i'm sure she can do better and better in this road that she has chosen. of course for this improvement we don't call it perfect but it doesn't hurt to give credit for her hark work. In Moonshine and Valentine drama, the most unforgettable scene is the break up scene, she portrays her emotion very well. and she's really cute as Guan Pipi in most scenes. with a good director and interesting drama plot in the future i can't wait to see Victoria improvement. When watching a drama, what's important is what I see on the screen right in front of me. The behind the scenes effort and improvements of actors really is a separate topic and to me irrelevant during the viewing experience. Its importing to cast characters the can adequately meet the standards that role demands. There is nothing wrong with an actor learning the roles and working on developing their acting skills, but a more low key drama is best suited for that. While watching this one, I thoughts "oh I should gloss over the mediocre acting because i know they are doing their best". - buts thats actually kinda weird, since thats not my responsibility as a viewer - end of rant. actually i don't question the viewers responsibility to praise her 'hard work' behind the scene. but for me as a viewer for this drama and also her previous dramas before, i can see the improvement in her acting which is more natural compared to her roles before. so, it is wrong for me to compliment or give credit for this improvement? if you think she doesn't improve or stay the same with her acting i can't do anything and its not my job to question you or the viewers. but for me it doesn't hurt me to give credit for her improvement because i can see the difference from before and now and that is my viewing experience, and i enjoy the drama with her acting. when i said "she just work silently...." that is my encouragement towards her and what i believe in her as a fan who see her ups and downs in her career through these years,that's what i feel and not to raise sympathy from anyone to see her 'hard work' behind the scene. My post was meant to be an independent comment and yours was the most recent and I accidentally replied to yours. My point of view was not aimed at your initial comment at all. No harm nor attack meant on your comment. Improving or not, if you watch the drama you can tell Victoria is the leading actress, even she had less screentime in the last half. She is probably the best actress in that drama. Anyone without biased eyes can see how much her acting has progressed or how well she acts. 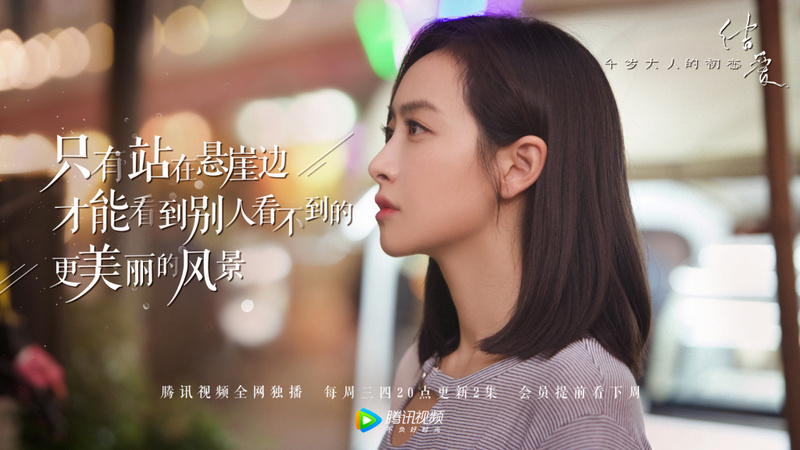 When this first aired, I wasn't planning on watching it because of Victoria’s past dramas and her acting as the first drama that I saw her in was when love walked in. I waited for it to finish airing and then I watched the last episode because I really could not watch her acting. I started this drama because of the story line and I really like Chinese historical dramas even though this one goes back and forth. And I would like to say that her acting has really improved. I'm not saying that she is perfect or is the best but I definitely see her improvement in her acting and her control of the emotions for pipi is actually pretty good. So I am continuing to watch this. I also agree with a few other comments on here about the male lead. I haven’t watched Johnny’s other dramas so this is the first one and yeah, I don’t see his love for her. Maybe it’s the emotions that he isn’t portraying that he really loves her and that he’s fighting for their happiness. I don’t know, he’s just like any other fu er dai that I’ve seen in other Chinese dramas whose personality is cold, less talkative, and less open. He probably did better in his other dramas but I haven’t seen anything in this one yet. I also agree with the director about having shorter drama episodes as they are precise and it gets to the point of the story line rather than dragging it four 40 something episodes and not even having a proper ending. And although I do like historical dramas, they are very long and dragging, so I am actually glad that this one is only 24 episodes. I've only watched up to episode 12 but had some thoughts on Johnny Huang's portrayal of Helan. As mentioned in the drama, Pi Pi is different from her past incarnations and Helan acknowledges that this time around he's going to have to work to earn her love. So he's not just blindly (pun intended) loving her and expecting her to do the same because they are fated to. His actions after making that statement seemed pretty genuine and sincere to me and I found it believable that their feelings for one another are growing stronger. I'm sooo happy to find these neutral comments here, most of the ones I saw in the internet were criticizing Victoria without a good argument. Generally, it's not common for me to like Cdramas, but this one I liked far more than some kdramas. I was a bit hesitating to watch Moonshine and Valentine as I didn't like some of Victoria previous works, but later I found out that she improved so much! In most parts her acting was really convincing. If we are being far we can't deny that she did a great job with her yes, expressions, body movements, sometimes even when she didn't had lines. That's not a easy task to do, to portray feelings without a word and naturally, especially for a newbie. The fact that she improved so much in a short time amazed me. As for Jingyu, I didn't watched his previous dramas, but I did find that in this one, in some scenes, He didn't conveyed what he should've and it looked like he wasn't there (only in body haha), like his mind was somewhere else. But near the end of the drama his acting was better and he looked more comfortable with it all. Also the actress that portrayed Pipi as a child is sooo good, her first scene was what convinced me to watch the entire episode, as well as how the scenes were directed. The main reason I watched the drama is because Huang Jingyu promoted it on a show I was watching and intrigued me. When I saw Victoria Song as the main actress I was really shocked. I knew her because of her kpop group f(x), although I'm not a fan, so I didn't expect her to act. Although the first episode drew me in because of the legend/backstory animated in the beginning (which I found very interesting and refreshing to see) what really made me keep watching was the cinematography. If it weren't for the beautifully captured shots and the exquisite use of colour palettes on the scenes I wouldn't have watched more than 2 episodes. The way the team coordinated the colors of the scene, the clothes and even the makeup and hair made the story and characters feel much more intimate to the audience, which I really enjoy. The characterisation was also top notch in this drama, each and every character was well defined and had depth to them. Also, the final scenes where there was a little narration along with beautiful slow-mo scenes was remarkable of this drama. It almost felt like visual poetry, closing in a gorgeous and philosophical way. Needless to say while the credits rolled I found myself in deep thought most of the time. After saying all of this I was quite disappointed as the episodes progressed. Even though the scriptwriter apologised and explained the situation I still felt as if the whole thing was going downhill. The beautiful cinematography was long forgotten, adding and mixing in unnecessary scenes, and the plot felt rushed twisted and all in all messy. I really hope in the future we can get a better work from this crew as in the beginning felt like as close to perfection as a TV drama can get.